Otto the otter is in trouble. From the trash of tourists who are less than subtle. To save his home he needs some muscle. 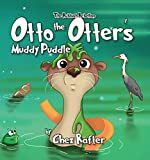 Can Otto rescue his friends and together clean up this muddy puddle?